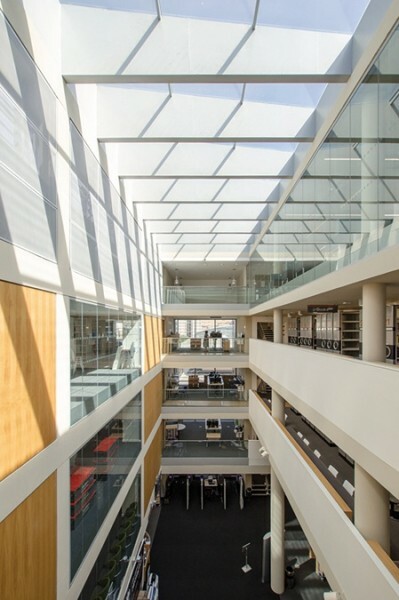 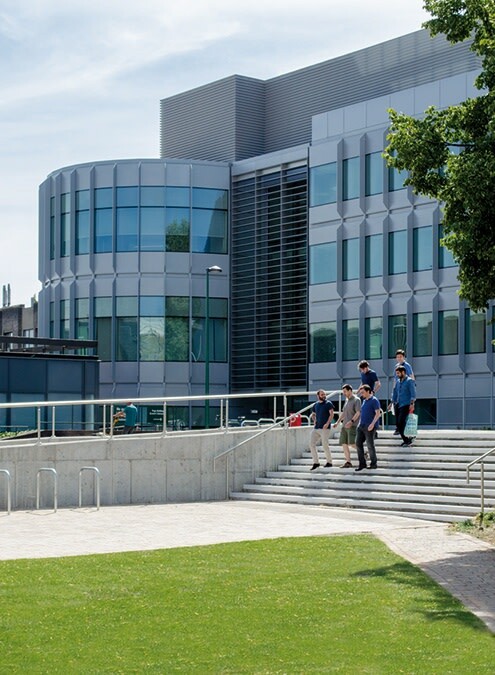 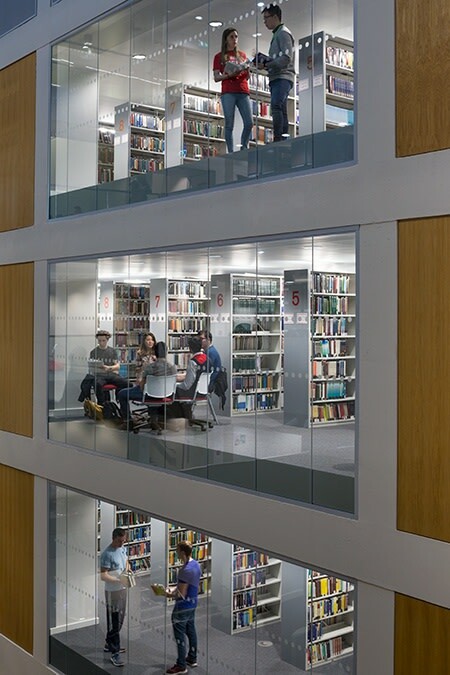 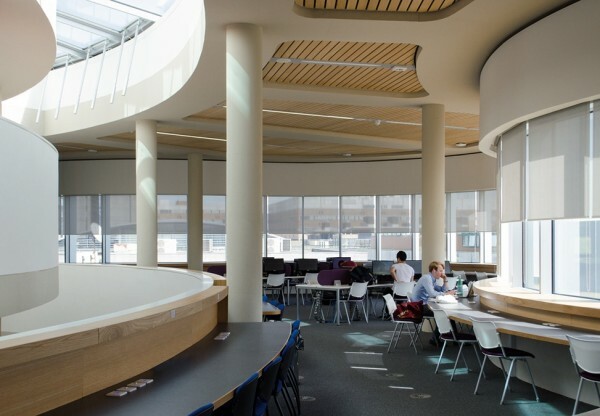 This project modernises the existing outdated George Green Library to twenty-first century standards, greatly increasing its usability and connectivity with the surrounding area. 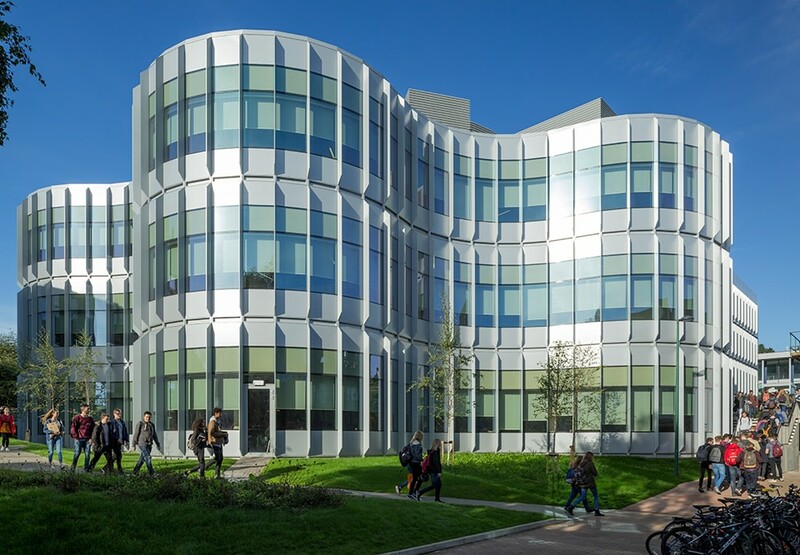 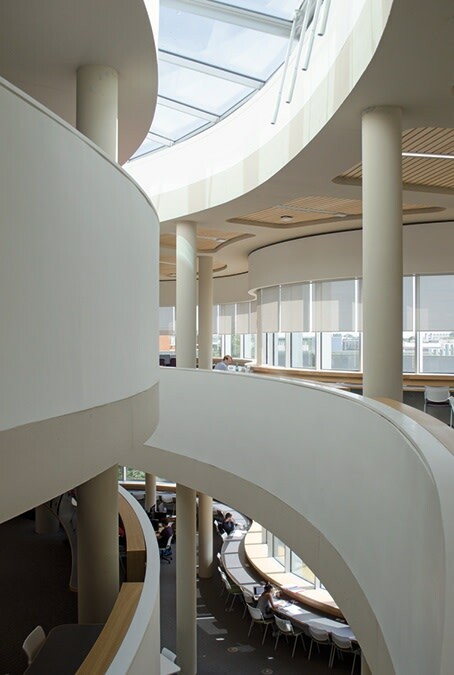 The building is composed of two main parts: the existing library, with its low ceiling heights, has been thoroughly renovated and joined with a new curved extension that expresses new open reading and study areas. 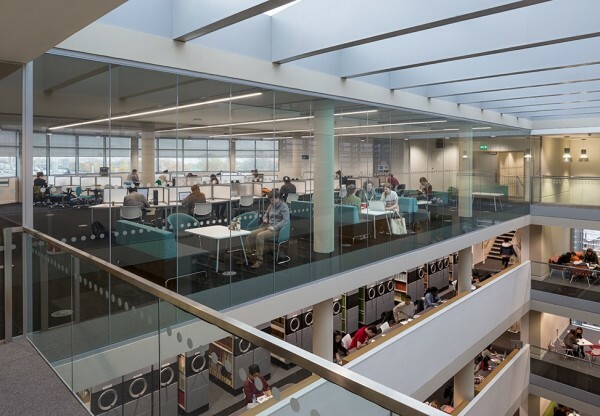 The number of individual and group learning spaces within the library has been doubled and combined with a new Social Hub catering area at the ground floor. 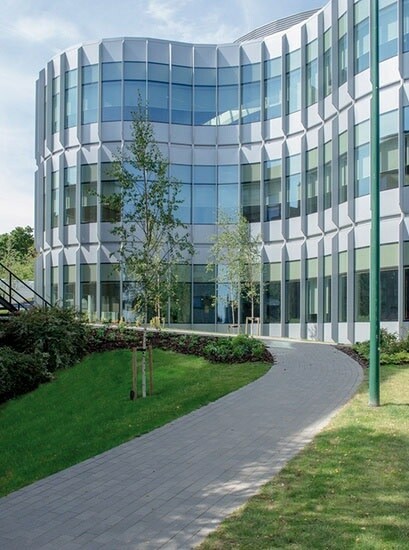 Designed to achieve BREEAM Excellent, our design allowed the Library to remain in use through the construction process. 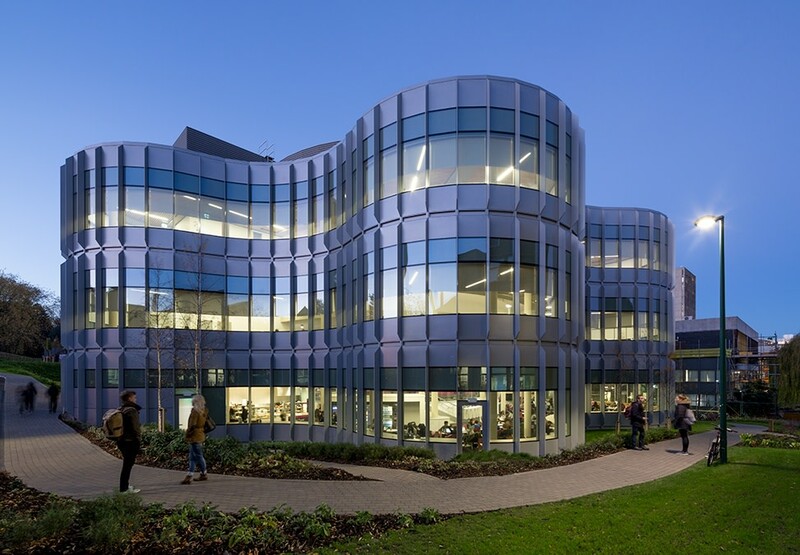 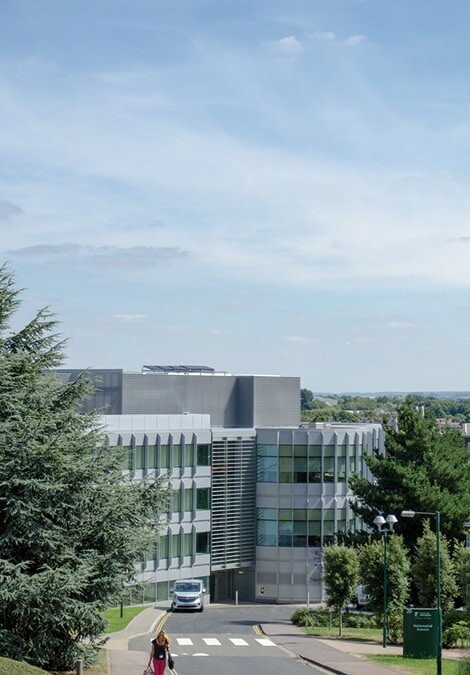 The project is the latest in our active involvement at Nottingham’s University Park Campus, which has included not only the masterplan itself but also the Engineering and Science Learning Centre which is located nearby in the Science City portion of campus. The Practice's relationship with the University extends back 20 years and began with the design for our award-winning Jubilee Campus.